Rust isn’t the only thing that can make a home of your motorcycle. 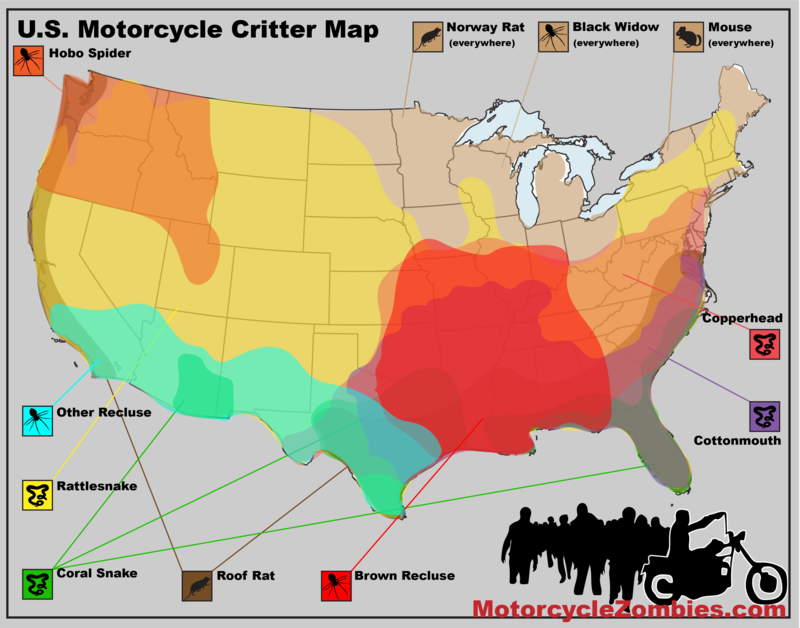 Check out the maps on this page to see some of the more dangerous critters that can be found in the region where your project motorcycle has been stored. We’ve mapped out where nasty things like coral snakes, cottonmouths, and hobo spiders commonly live. Watch out before sticking your hand inside that old airbox or under the gas tank! Have any stories of finding creatures in your project motorcycle? Share them below. 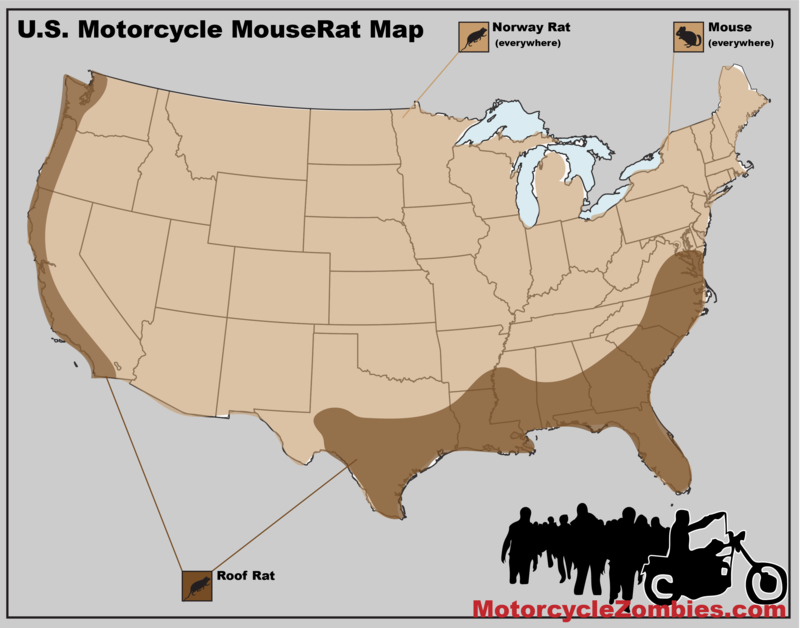 Of all the things to think about when starting a motorcycle project, pest control is probably low on the list. But, you’d be surprised what kind of critters have made their homes in old motorcycles. 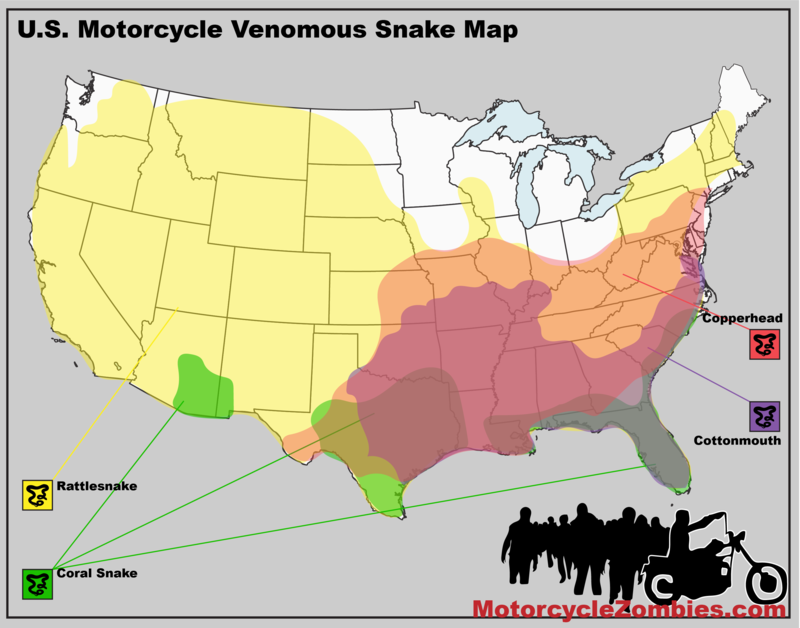 Regional distribution of venomous snakes in the United States – details Coral Snake, Copperhead, Cottonmouth, and different types of Rattlesnakes. Regional distribution of common mouse, Norway and Roof rats in the United States. Check your mufflers! 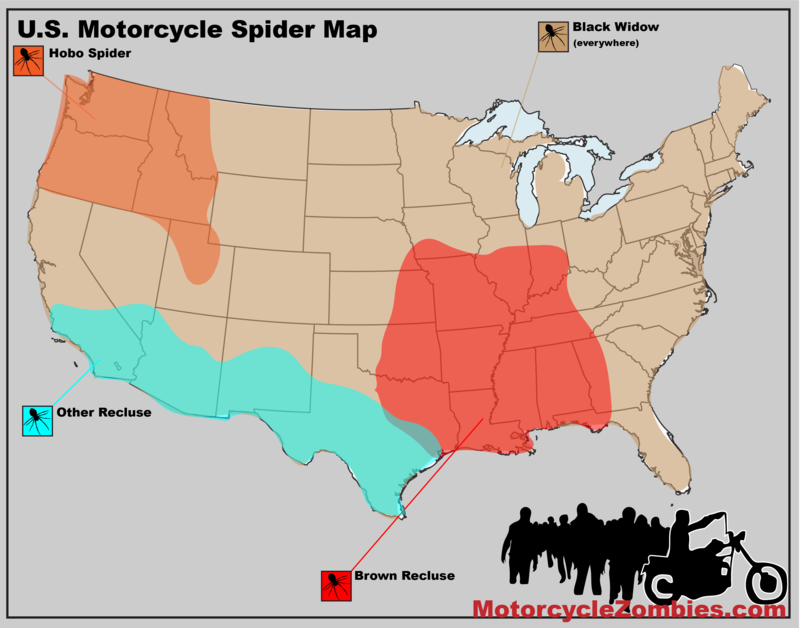 Regional distribution of poisonous spiders in the United States – Includes different species of Widows and Recluses, the Brown Recluse, and the Hobo Spider. If an old bike has been stored outside it can house all sorts of bugs, reptiles, spiders, and rodents. Birds have even been know to nest in old bikes. Even if your motorcycle has been kept in a shed or garage, there’s a good chance it’s at least home to some bugs and spiders. Depending on where the bike has been sitting, however, there’s a possibility that something more dangerous has laid claims on your project. Before you start blindly sticking your hands into and around your motorcycle, it’s a good idea to give it a once over and a surface cleaning to get rid of anything that might be hiding in it. 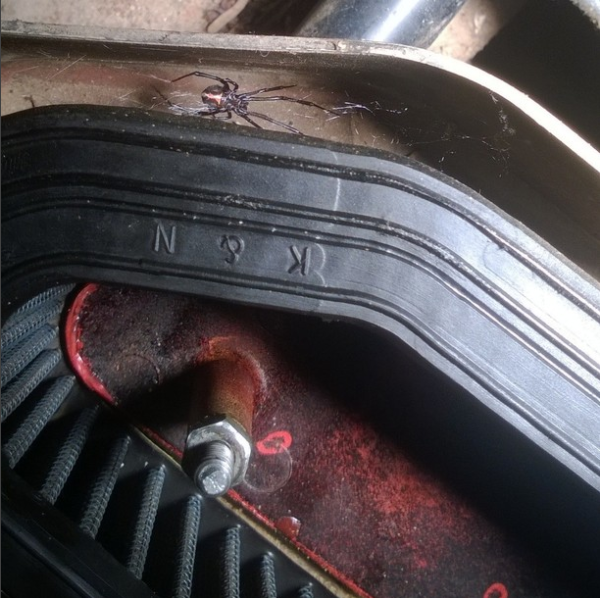 Spiders and snakes can make pretty much any part of a motorcycle a good home – places like mufflers to airboxes and everything in between. Mice and rats are known to chew through old motorcycle seats and can make a nest in all the nooks and crannies on your bike.